The county of Kent in southeast England is home to some of Britain's prettiest towns and villages. Located just 21 miles from continental Europe, it is blessed with rolling hills and and stunning coast. In addition to being the gateway to Europe, the town of Dover is a picturesque community famous for its white cliffs. Make sure to visit the spectacular Dover Castle. 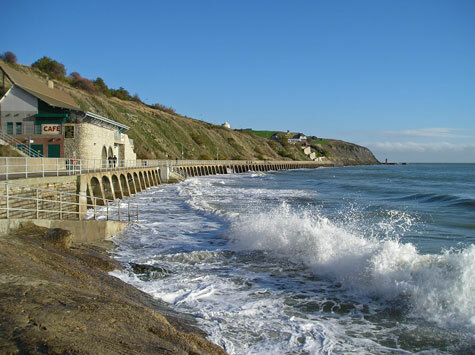 The town of Folkestone is a charming English seaside resort that has a lovely promenade, picturesque harbor and a long sandy beach. It is also home to some great cycling and hiking trails. Due to its location between London and Paris, Kent is home to important rail and ferry transportation facilities. In addition, the Channel Tunnel (Chunnel) connects from Kent County.